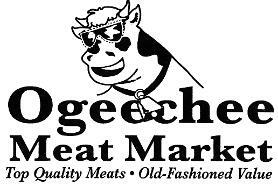 Ogeechee Meat Market, LLC takes pride in supporting the local community in which we live and work. To do this Ogeechee Meat Market, LLC allocates a tithe every year in this effort by aiding worthy causes. This is in an effort to recognize before man that God is awesome and the ultimate provider. We are merely stewards of the money and are thus charged to care and aid the community to the best of our abilities. All requests must be in written form and must (but are not limited to) this form fully filled out. All decisions on donations will be made by the Ogeechee Meat Market, LLC board of directors. Requests must be submitted no later than a month before the event. It may take up to 2-3 weeks for a decision to be made on a particular donation. Decisions will be made on the availability of funds, worthiness of cause, greater good, pertinent participation of Ogeechee Meats, and appropriate association with Ogeechee Meats and Ogeechee Meats’ values. No monetary donations will be awarded to any organization. This is to avoid corruption, that donations are used as discussed and to protect Ogeechee Meat Market’s reputation. It is important to note that our Charity Giving fund has a limited budget and not all causes can be funded even if they are deemed “worthy” by the board. “Worthy” causes will be aided on a “first come” basis. By "worthy" we do not make a decision as to whether or not your event/cause is of worth because we know there are a lot of worthy causes. By "worthy" we mean that the event is a good fit for our company and that we would be able to help in a significant way. Request that benefit individuals or for profit organizations will not be considered. All organizations that meet our giving guidelines are eligible for donations. However, organizations may only apply for and receive a donation every six months. A completed application does not guarantee a donation. Ogeechee Meats likes to help as many organizations as possible, so previous donations to your organization do not ensure continued support.